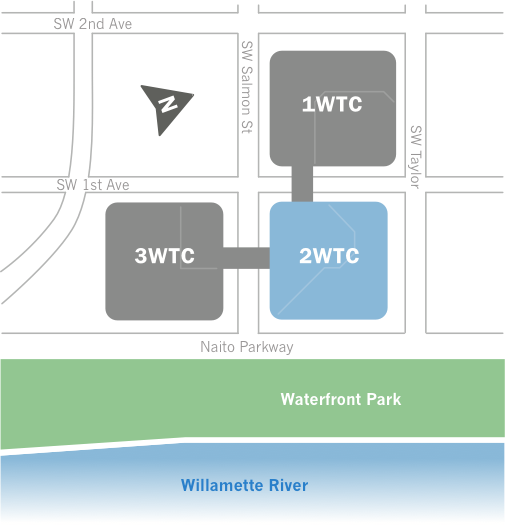 The Mezzanine Exhibit is located on the Mezzanine Level of Building Two of The World Trade Center Portland. 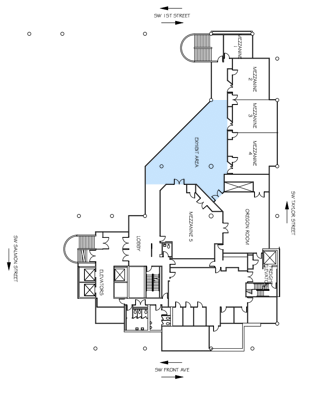 From the Plaza Level of Building Two, take the elevators or stairs up one level to the Mezzanine Level. 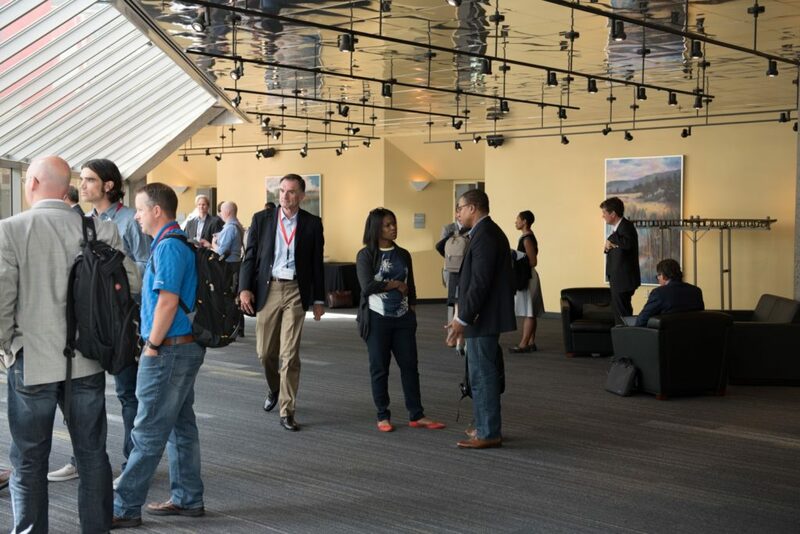 The Mezzanine Exhibit Space is a great addition to any event on the Mezzanine Level here at the World Trade Center Portland. 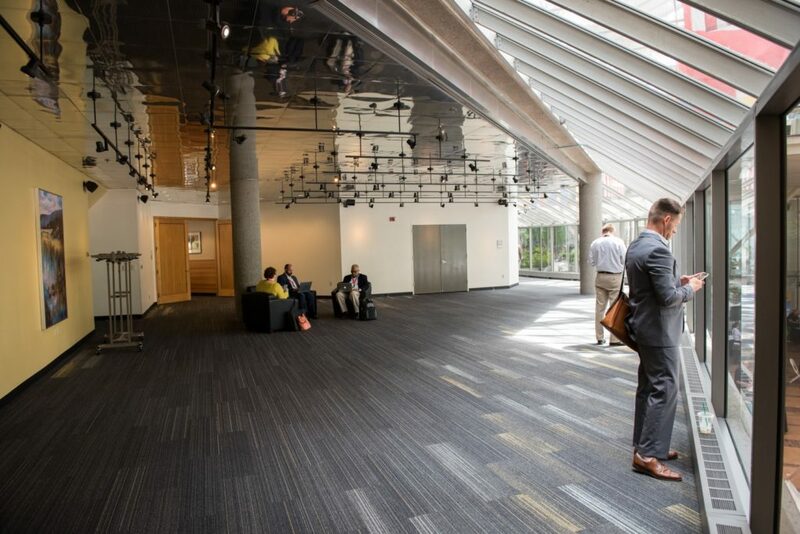 It connects all of the conference rooms on the level, and therefore is a great space to utilize for lunch service, exhibit tables, or even an evening reception! This industrial space overlooks the Outdoor Plaza and has a view of the iconic WTC Portland Flags.